Just me and stuff I love with plenty of sewing and lots of travelling around our beautiful island. Still it is done now and DH loves it! 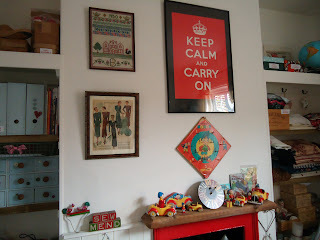 I do love the freshness of it and it did need redecorating but this has been a big step. So that's that and now we're planning the next projects. 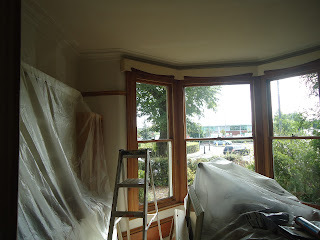 These old houses are like the Forth Bridge...once you think you are done it all starts again. 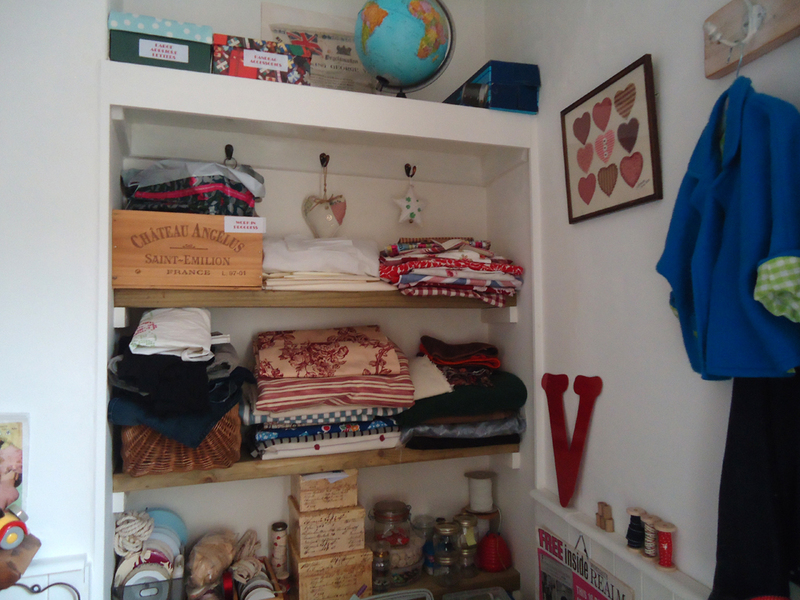 However I think that may have to wait until after Christmas ( I did whisper that , honest) but at least I can make a start on the soft furnishings. 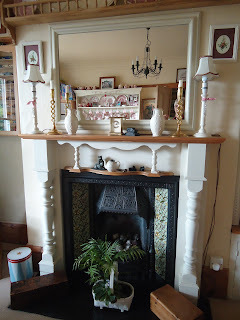 So lovely people if you know anyone in or around the Lincoln area who wants a fireplace and are able to fetch it, we have one we're burning to get rid of (Sorry, that was bad). The pine surround does need repainting, but the Victorian insert is complete and the tiles intact. 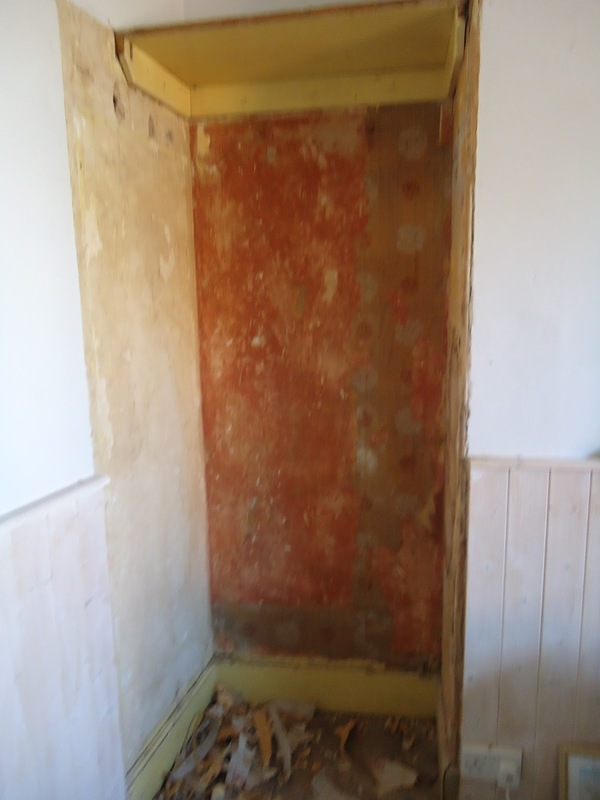 It cost us over £1000 to have installed but would be happy to accept £300 ono, cash on collection. Ps I would throw the mirror in if anyone wanted it! Your new rooms look wonderful, especially your very own sewing room, I would love your 'old' fireplace, but it just wouldn't look right in our home. 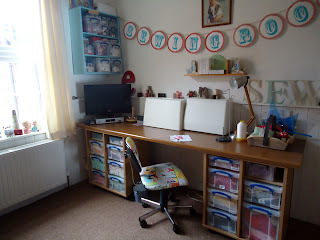 I'm broken out in a rash on envy over the sewing room, as, much as I love my kitchen table, a WHOLE ROOM in which to make a mess (not inferring that you're messy...) sound an absolute luxury! 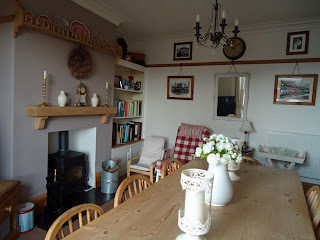 I love BOTH didning rooms, but our house is 1871 and the sitting room is very modern with a woodburner, and a mix of 70s and art deco furniture and I think it really works with the proportions of old houses. 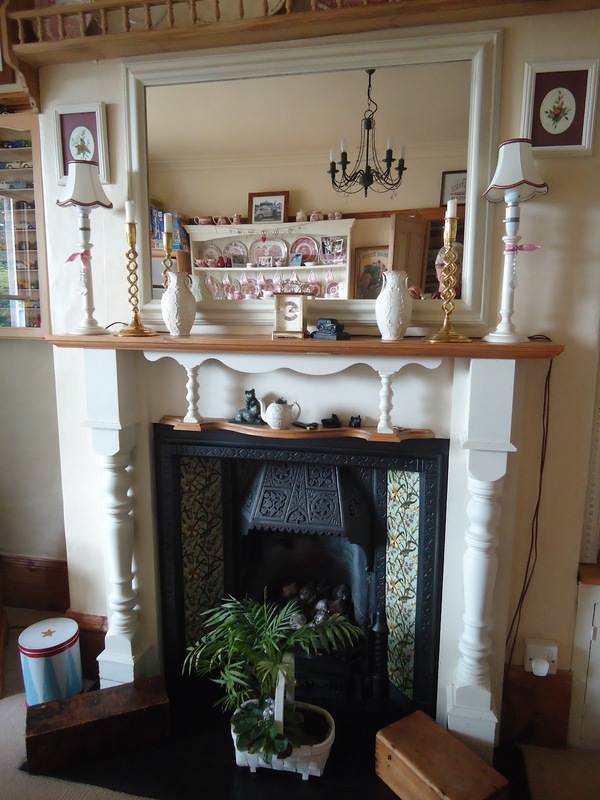 Why don't you photo your fireplace/mirror combo and put it on eBay or Pre-loved? oh how nice it looks on you! 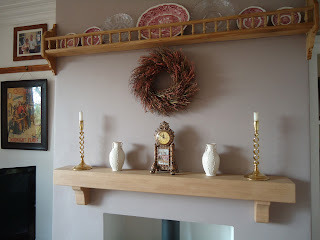 I have to say Jenny, when I first read that you had taken out that beautiful fireplace, I thought OMG what have they done. But fear not, you have done the right thing. Your dinning room looks so much simpler than before. I'm loving the new look fireplace. Everything looks so fresh and clean and simple. You have done a great job. 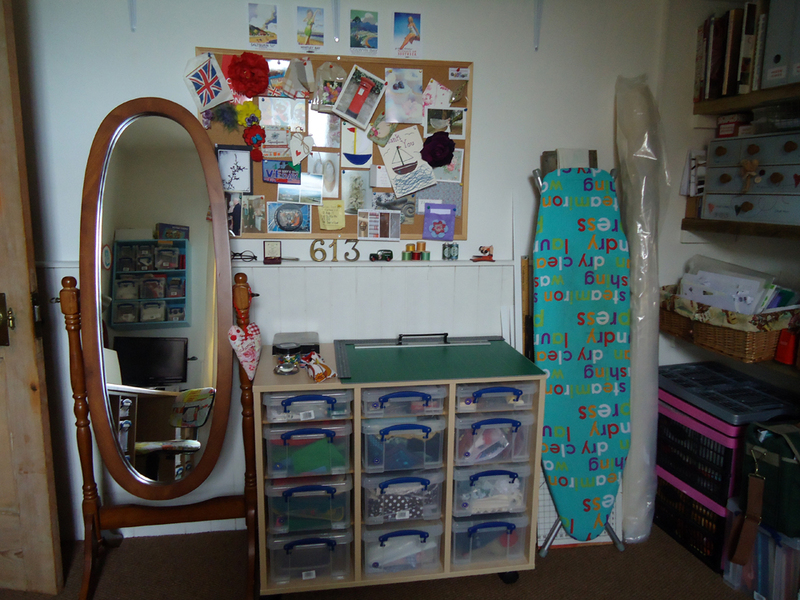 As for the sewing room, I can't bring myself to comment, as I am soooooo jealous. The old fireplace is lovely, but the stove looks great and will be so cosy. Your sewing room is wonderful! Hi I haven't visited for some time now & wow your home is looking great. I'm glad you liked my daughter's unicorn tale. 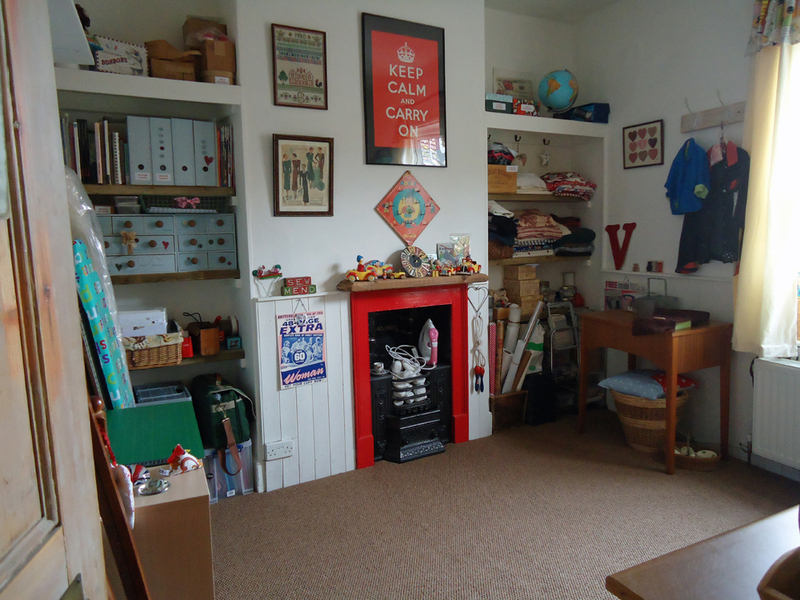 Both your sewing room & living room look lovely! You did well. It's a perfect mix of old and new, vintage & contemporary! I think both rooms look fabulous - well done! 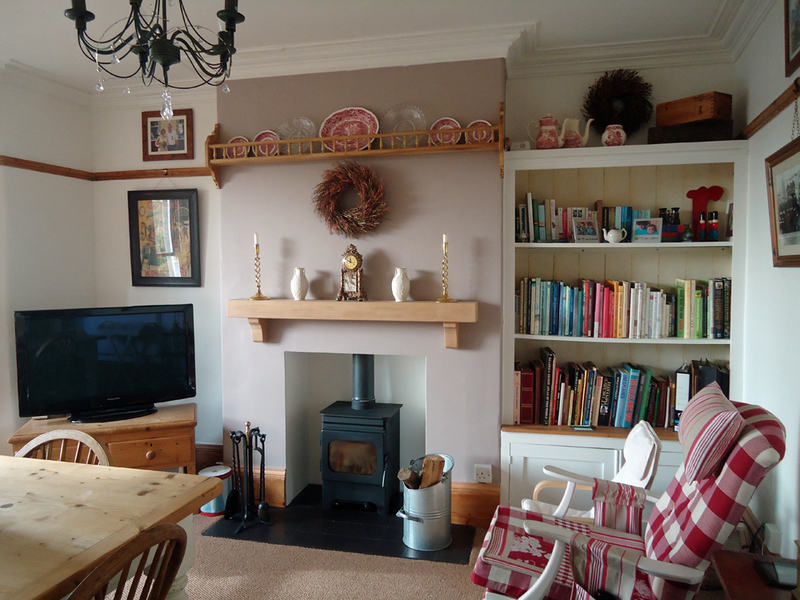 A wood burner is a great investment - very warm & efficient. The rooms are so beautiful! I love how you have renovated and decorated them. Two lovely rooms. Well done you! I love my woodburner, so much easier than an open fire and you can burn any old wood. Your decorating endeavors look fabulous! Hello Jenny, I don't know exactly how I came here, but I am glad I did. Just want to tell you that I think your fireplace is wonderful, would love to sit in that red-checked chair. I might have another mirror on the wall, though. 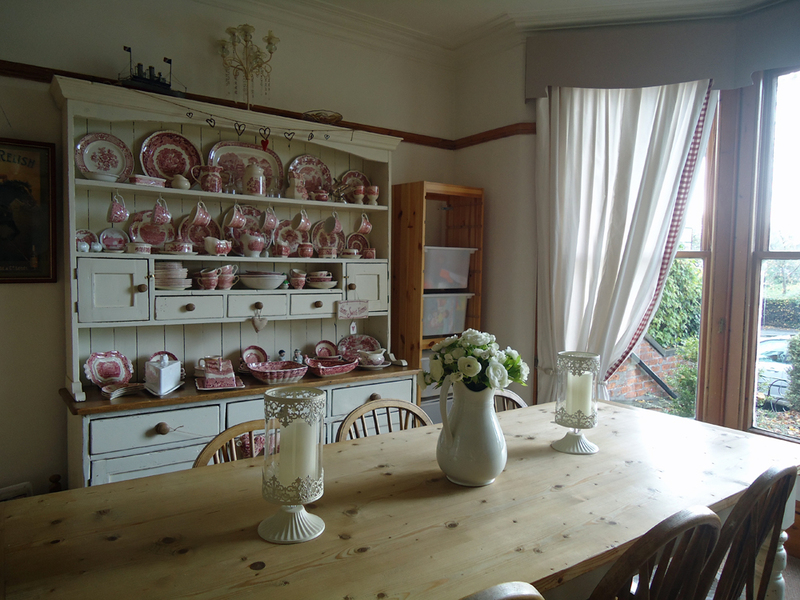 Just to be able to look at that beautifull room through the looking glass! What a beautiful sewing room. I can't believe you cover up your sewing machines, I only use the case when I have to take it some place. Have fun in your new rooms. 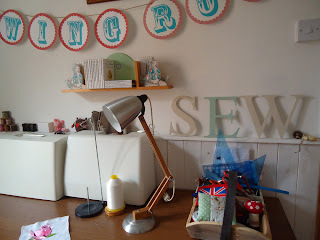 I love your new sewing room. I can't believe you cover your machines up, I only use the case when I have to take my machine some place. Maybe I should start covering it too????? Have fun with your new rooms, they're beautiful. Come on in, put your feet up and have a look round. I hope you enjoy my ramblings and I'm even more chuffed if you like my pictures, but if you want to use any although I will be very flattered, just let me know first. However please don't copy any of my hand made products. needle felting from Molly makes! It's All About The Ochre! Button Trees - They're back! Pipany & the Poltisko Memoirs. More Wonderings & my Obsession. History of the needlefelted Alien. Vintage by Nina ~ Coming Soon! WELCOME BACK FARM AND FRU FRU! Can you believe it? I'm back!! Presenting the new Finch Five Website and blog! It's all in the numbers! A knighting (shining armour) we shall go...! Happy new year ! / Bonne année ! Check out our Cushibags! Now recovering from broken wrist! Oh my goodness I have a job!